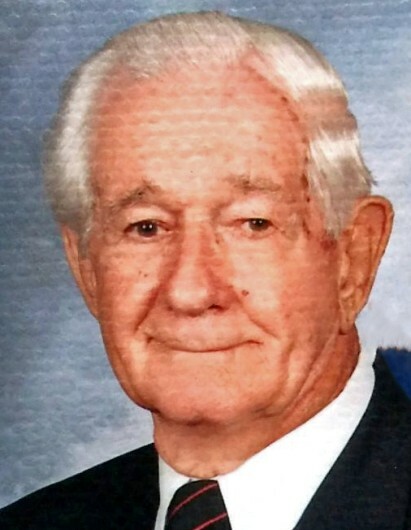 Kenneth Blakely, 91, widower of Doris Cochran Blakely, of Greenville, died Sunday, April 15, 2018. Born in Laurens County, he was a son of the late Joseph and Etolia Garrett Blakely. Kenneth served in the United States Army during the Korean War and retired from Thomas McAfee Funeral Homes after 52 years of service. He was a member of Mitchell Road Presbyterian Church. Kenneth is survived by a daughter, Karen Suggs (Stark); a son, Joseph Blakely (Debbie); and four grandchildren, Blake Suggs, Ben Suggs, Daniel Blakely, and Rachel Blakely (fiancé, Jay Deason). In addition to his parents and loving wife, he was preceded in death by four sisters and two brothers. A visitation will be held Tuesday, April 17, 2018 from 6:00 p.m. until 7:30 p.m. at Thomas McAfee Funeral Home, Downtown. A funeral service will be held Wednesday, April 18, 2018 at 1:30 p.m. at Mitchell Road Presbyterian Church. Burial will be held in Woodlawn Memorial Park. Memorials may be made to Mitchell Road Presbyterian Church, Mission Fund, 207 Mitchell Rd., Greenville, SC 29615, or to the charity of one’s choice.